The Lion Man. 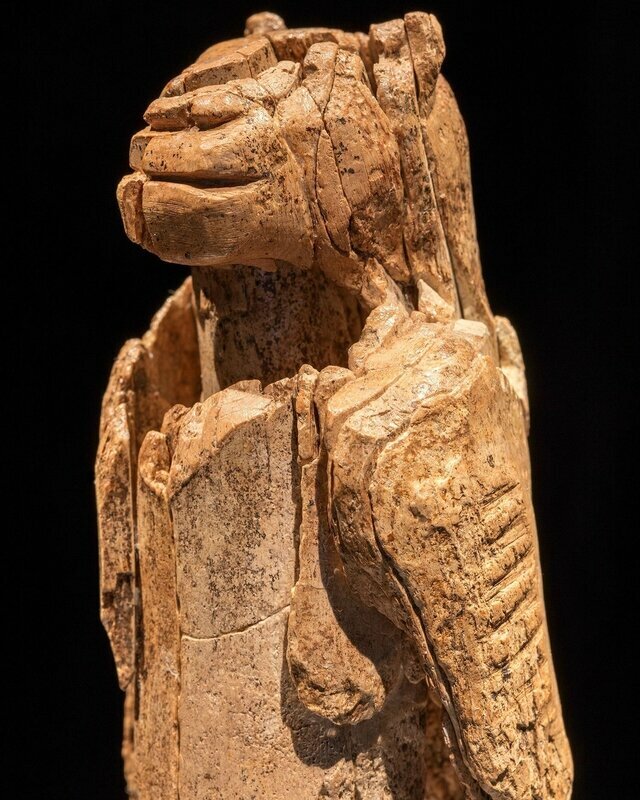 Stadel Cave, Baden-Württemberg, Germany, 40,000 years old. The oldest known evidence of religious belief in the world. © Ulmer Museum, photo: Oleg Kuchar, Ulm. LONDON.- There is no known culture in the world or in history without religious beliefs. 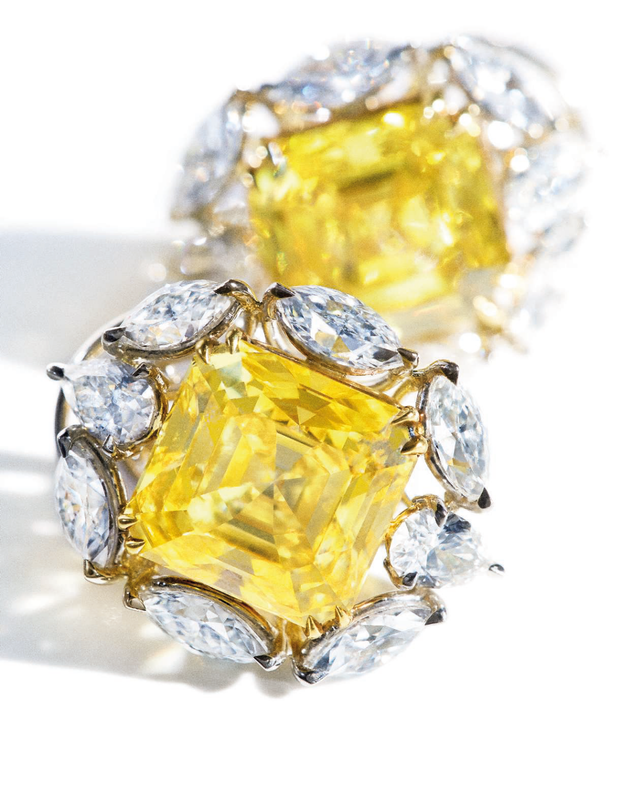 What sustains this worldwide phenomenon? The answer to this question is usually set out in terms of what people believe. By contrast, this exhibition explores the practice and expression of religious beliefs in the lives of individuals and communities around the world and through time. It also touches on the benefits and risks of these behaviours in terms of co-existence and conflict in societies such as 17th–18th-century Japan, China and the Soviet Union, as well as modern Europe. 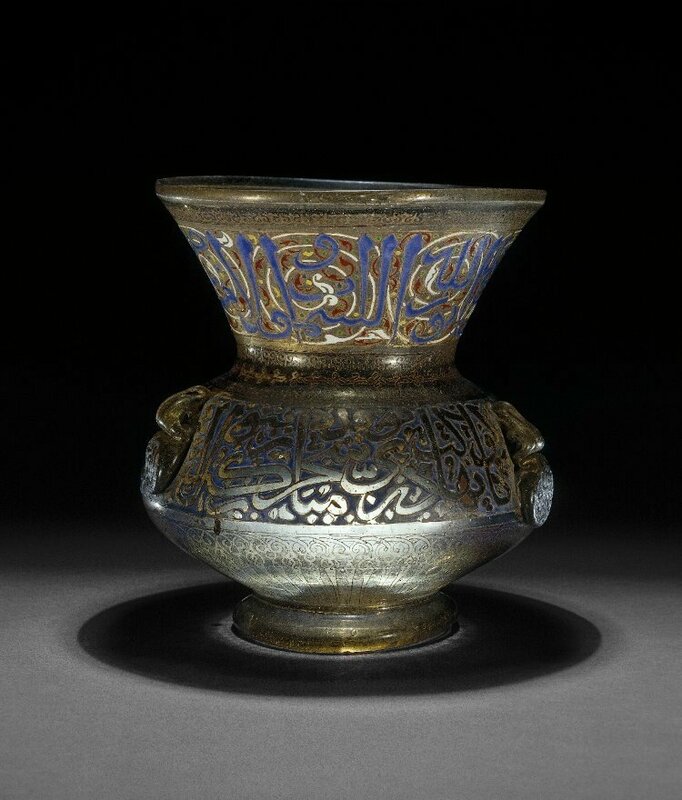 Mosque lamp From Aleppo, Syria, c. 1300–1340. © The Trustees of the British Museum. Belief is a key aspect of human behaviour and the exhibition notes not only the mystical and sociological aspects of this, but also the innate neurological and psychological triggers. The similarities in the recurrent practices exhibited, despite great variation in what is believed, leads to the question of whether our species might be better known as Homo religiosus rather than Homo sapiens. The exhibition explores behaviours inherent in everything from modern urban ideas of wellness and mindfulness to pilgrimage and prayer. The exhibition is part of the fourth collaborative project between the British Museum, the BBC and Penguin Books. It builds on a Radio 4 series of 30 daily programmes over six weeks presented by former Director of the British Museum Neil MacGregor. The exhibition includes everyday objects relating to world faiths, traditional indigenous, archaeological and modern civil practices. 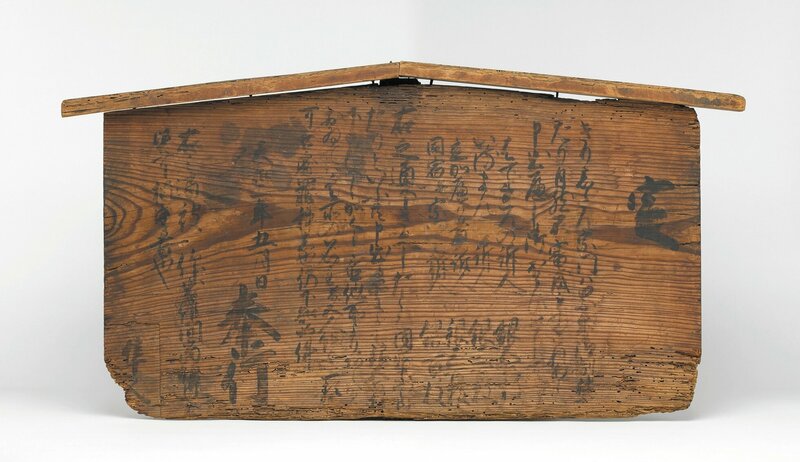 It includes intriguing pieces from the end of the last Ice Age that depict beings that do not exist in nature, to familiar objects of everyday practices of all periods – including a remarkable 18th-century replica of a Hindu ceremonial chariot of the kind pulled from a temple to reveal deities during festivals, posters relating to Soviet scientific atheism, and a Chinese badge celebrating ‘Mao’s mangoes’ in an extraordinary example of 20th-century veneration. The British Museum takes a new, experiential and innovative approach to the design of the exhibition. It incorporates the sounds, music and silence associated with religious practice, with moments of surprise, achieved with atmospheric lighting effects. John Studzinski, Founder & Chairman of the Genesis Foundation said ‘The Genesis Foundation works with prestigious UK arts organisations and is particularly dedicated to supporting projects on the theme of faith. Faith is an integral part of my life, which means that I am conscious of the divine in all sorts of circumstances, in sacred and secular spaces, in nature and in man-made objects. 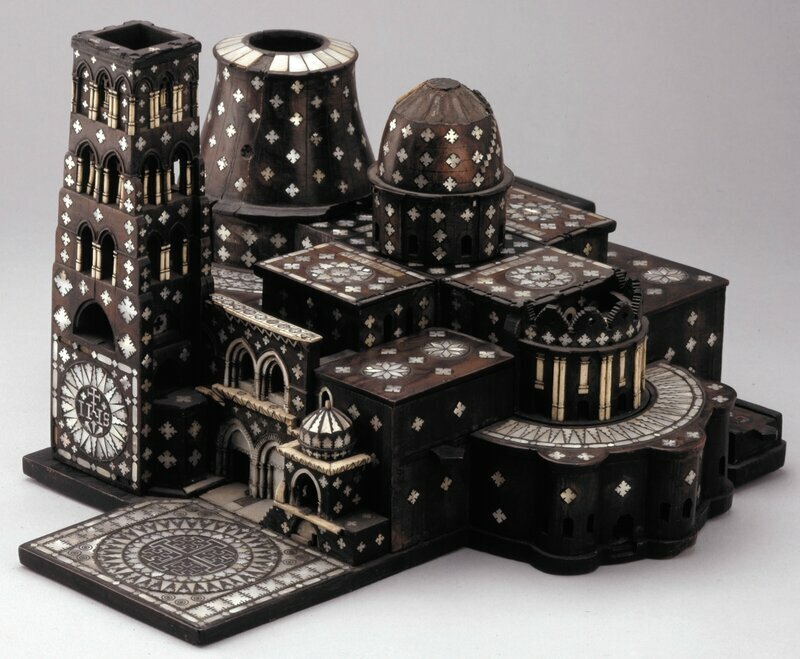 As soon as we began to discuss this exhibition, I was compelled by the idea of uniting in one place objects that explore religion across the world and throughout history. I am looking forward to witnessing people’s responses, both spiritual and emotional, as they make a connection to the divine at the British Museum. When we share an experience of this kind, we remember that we are more united than we often acknowledge, and I hope that this exhibition will remind us of that'. 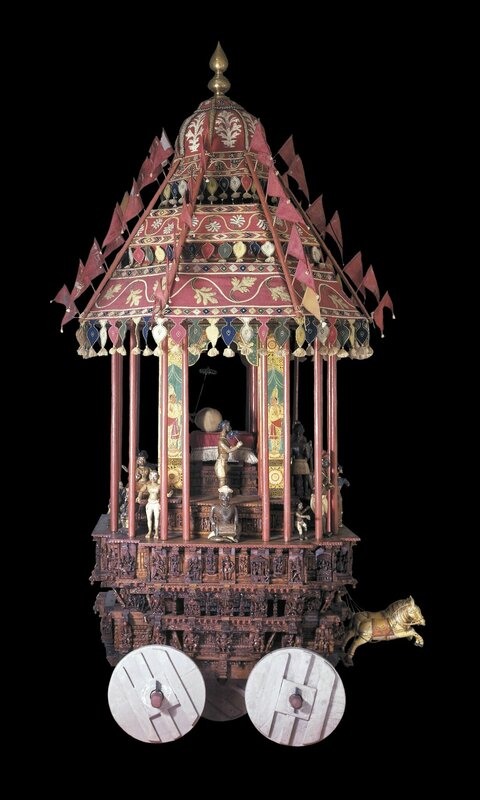 Large wooden model of a juggernaut for bringing deities out of a temple into the community. India, 18th century. © The Trustees of the British Museum. Painted textile (thangka) with the wheel of life. 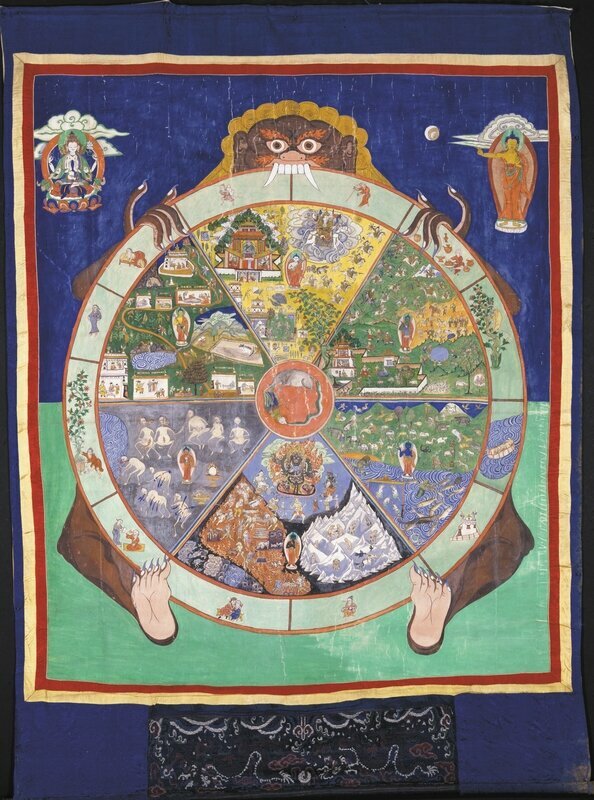 Tibet, 19th century. © The Trustees of the British Museum. 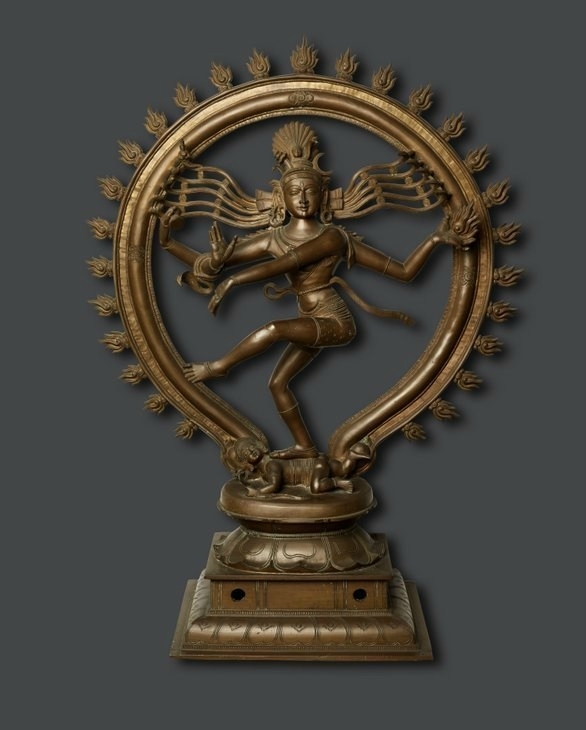 Shiva nataraja, Madras, India, early 20th century. The Hindu God Shiva performs a dance of creating and destruction. © Religionskundliche Sammlung der Universität Marburg, Germany. Ibeji figure, Yoruba, made in Nigeria, probably early 20th century. © The Trustees of the British Museum. 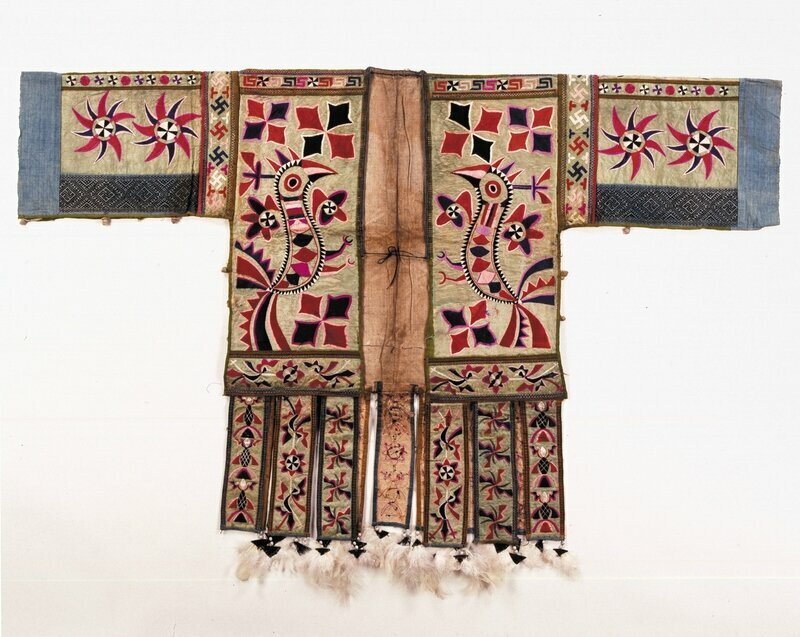 'Hundred Bird' coat, Miao, China, 1950–1990. © The Trustees of the British Museum. 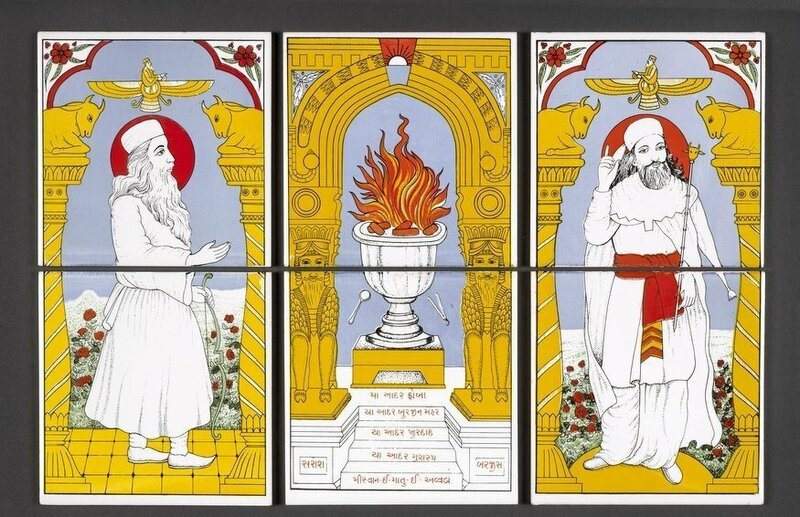 Tiles, from a Parsi home shrine showing the constantly burning fire of Ahura Mazda, god of Zoroastrians. Gujarat, India, 1990. © The Trustees of the British Museum. 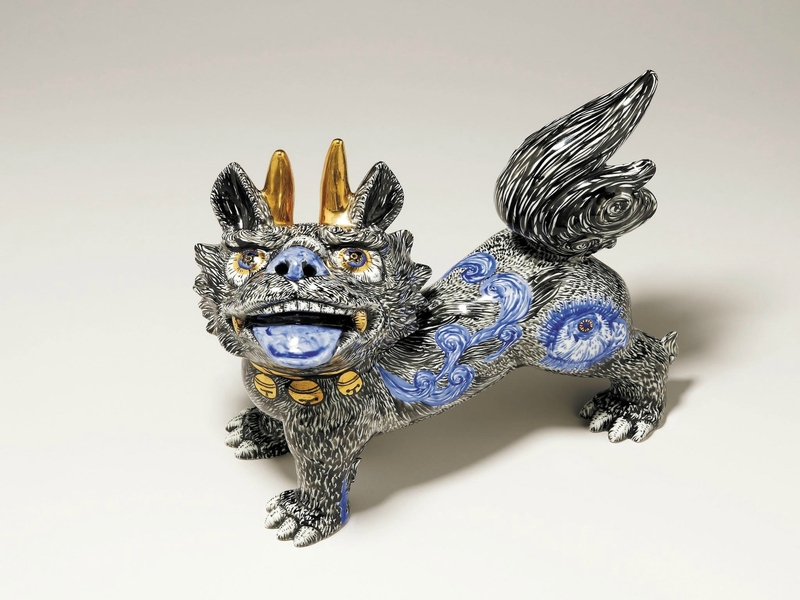 Guardian Lion Dog, 2015, by Komatsu Miwa and Matsumoto Satoru, Arita porcelain. 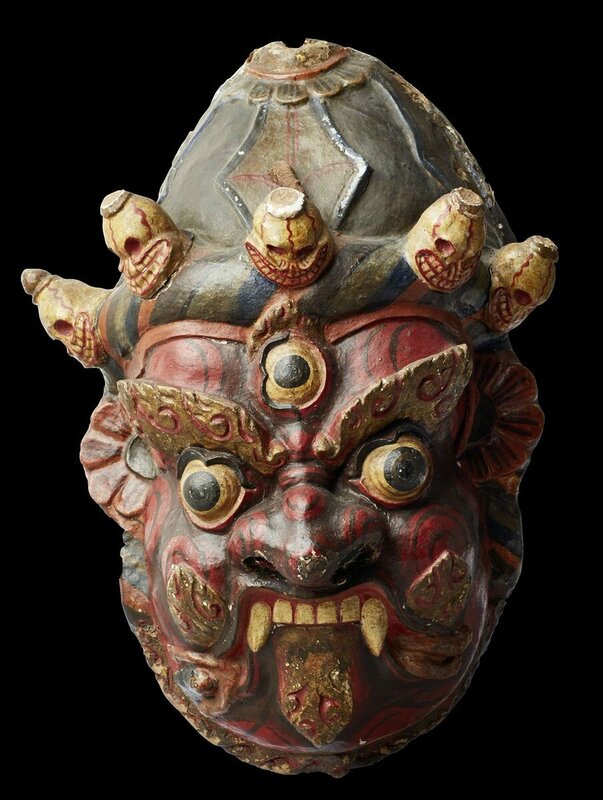 These lion dogs are designed to keep evil spirits away. 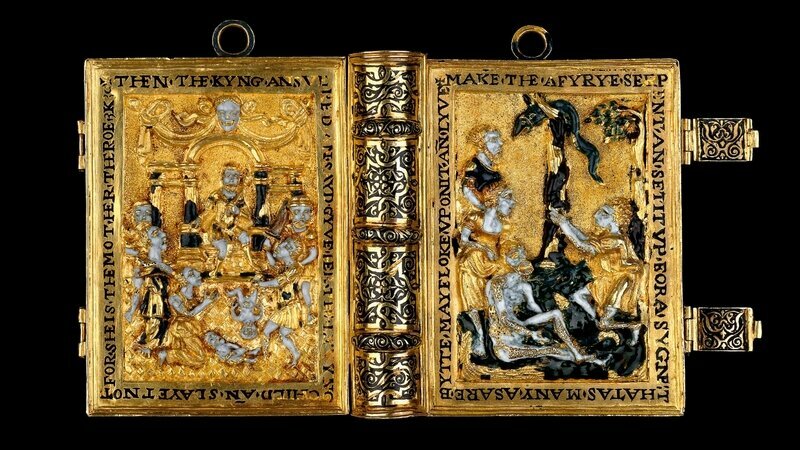 © The Trustees of the British Museum.